Orbital Underground Service Location is a family owned business situated in South East Queensland and operates from Sheldon, South of Brisbane. Therefore, we can provide services to you from the Gold Coast to the Sunshine Coast and all areas west. Since its inception, Orbital Underground Service Location has recognised that clients need to have the confidence that the excavation work they are about to undertake can be conducted without risk to life and property, whilst at the same time avoiding costly surprises. To achieve this, Orbital’s employees are Dial Before You Dig and Telstra accredited and utilise the market leading locating equipment supplied by Radiodetection. In fact, we are so confident with this equipment that we also supply their products to the locating market. By committing to excellent service in conjunction with the best equipment, we believe that we will exceed your expectations, and save you time and money. Our staff also possess Construction Safety Blue Cards, First Aid Training with Qld Ambulance, can provide positive Blue Card notices and our managing director is a member of the National Utility Locating Contractors Association (NULCA). 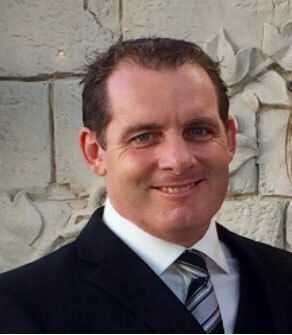 Jamie comes from a technical trade background with the Australian Army and served for thirteen years. He later went on to be involved in residential property investment and completed $8,000,000 worth of property transactions during that time leading to taking on a directorship in a property renovation and investment company which continues to operate in South East Queensland today. In addition to running Orbital, Jamie is currently on the board of governance for one of Brisbane’s independent schools and serves in the capacity of chairman.